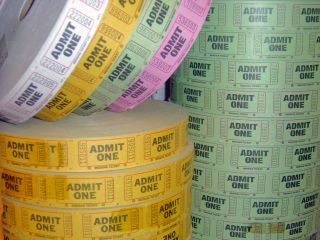 Is now the time to end online ticket touting? Should ticket touts be a thing of the past? Every cloud has a silver lining, so while it's very sad that Michael Jackson has died it's heartening to imagine the morning some ticket touts are having. Like every other gig these days, many tickets for Jackson's string of O2 appearances have been snapped up by people trying to make a quick buck - and if they've bought on eBay and relisted them at an even higher price, they're about to take a financial kicking. We can barely type for grinning. What's not so funny, though, is that lots of Jackson fans will have already bought their tickets from the touts - and unless the touts suddenly discover a heart of gold, which we very much doubt, that money's gone. If you buy your tickets from the box office (assuming you can get in before the resellers do) or pay through the nose at a legitimate reselling site, you'll get a refund - but if you buy tickets from less reputable sellers, such as shady agencies or individuals on eBay - you're almost certainly stuffed. Concert tickets have become an elaborate mechanism for ripping off music fans. First of all, the promoter works out how much the gig will cost to stage, divides it by the number of tickets, and ends up with a cost per punter. He then takes that number, ignores it, thinks of the biggest number he can imagine and calls that the ticket price. The promoter then passes the tickets on to the ticket agency. The ticket agency adds a few more zeroes, has a good laugh inventing spurious charges such as £300 for postage, and sells almost all of them to people who have no intention of going to the show. Those people then do a funny thing. They take their tickets, double the face value, and list them on legitimate, "hey we're all music fans" resale sites - sites that, by a very happy coincidence, tend to be owned by the ticket agencies. When those tickets sell, the ticket agency gets another chunk of cash. The thing is, those tickets still don't end up in your hands. Nope. Time and time again we've seen people buy them and list them on eBay, promising to send a copy of their email confirmation to the winning bidder. But the contract for those tickets is between the resale agency and the buyer, not between the agency and the buyer's buyer - so it's entirely up to the seller whether they refund your money or not. The same applies to any ticket sold on eBay: if you spent the price of a really big house on tickets and the performer has a heart attack, do you honestly think you'll get your money back? As MusicAlly notes "Some sellers will have auctioned off tickets that they hadn't yet received, for hundreds of pounds each… Sellers will be refunded their initial £70+ ticket price by TicketMaster but will [they] refund the larger eBay amounts to their auction winners? Undoubtedly some will have spent the money and won't be in a position to pay back their buyers. Already we are hearing reports on Twitter of fans mourning up to £1,000 that they have spent on touted tickets." We're not suggesting a footie-style ban on ticket reselling, but the insane cost of gigs is making a lot of people a lot of money at genuine fans' expense. We could solve it in seconds without hurting the fans that buy tickets and then discover they can't go: simply make it illegal to resell tickets at more than face value. Sure, it's meddling in the free market, but anybody who thinks the current situation is good for pop fans has clearly been drinking too much Jesus Juice.